Techno Tidbit #11: Almost everybody has a smart phone nowadays. Smart phone owners know how fast the battery drains, with all the apps that we use and how we check our email, Facebook, Twitter, Instagram and other social media accounts we own. Did you know that it takes more power to turn on your smart phone than to just leave it on for a short time? 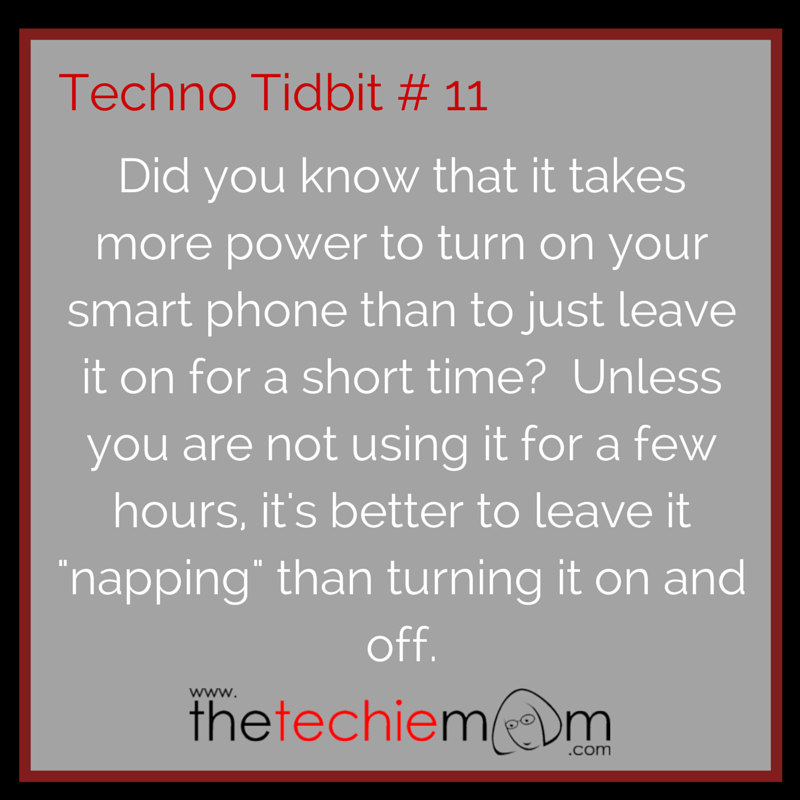 Unless you are not using it for a few hours, it’s better to leave it “napping” than turning it on and off. So next time you’re going to watch a movie and wants to turn off your smart phone, I suggest muting your phone instead.